The morning banana diet was discovered by japanese pharmacist Sumiko Watanabe and her husband Hitoshi Watanabe. Hitoshi himself lost 18 kg (30 pounds) by using this weight loss plan. Japanese are among the healthiest people on Earth. Japan has some of the world's lowest rates of obesity about 5 percent, compared to nearly 12 percent for the France. 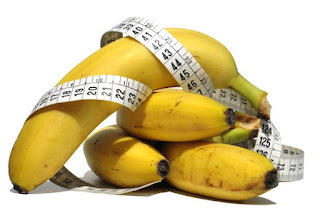 If this is enough for you and you want to know their secret and find out what is the morning banana diet read this article. Lunch and dinner: You can eat everything you want except fried food and desserts after lunch. The only thing you have to be careful is to have your dinner before 8 PM. If you are hungry even after dinner eat some fresh apples but only before 8PM. The morning banana diet allows you to eat sweets or fresh fruit as a snack. Snack of chocolate or cookies are allowed. Ice cream or donut are not recommended. -By eating bananas in the morning you give your stomach more time to improve digestion and nutrient absporption. Bananas have glycemic index and block absorption of carbohydrates. A lot of people are sceptical about this diet. Many of them consider that it's not possible that you can eat everything you want and loose weight. Everybody agrees that warm water is the best choice for healthy digestion. Famous nutritionist Keri Glassman said that bananas are magical food. Bananas also have a lot of vitamins, minerals and that bananas are magical food because of their vitamins, minerals and dietary fibers.